Skinny Jeans & a Chai Latte: It's pronounced gun-lock-bun-shoe. 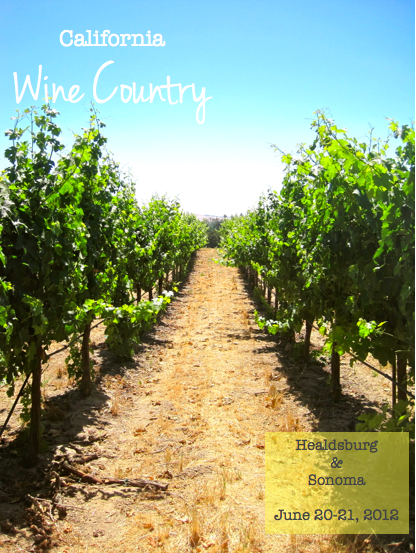 After Healdsburg, we headed over to Sonoma. Want to know where we stopped first? You guessed it...another brewery! 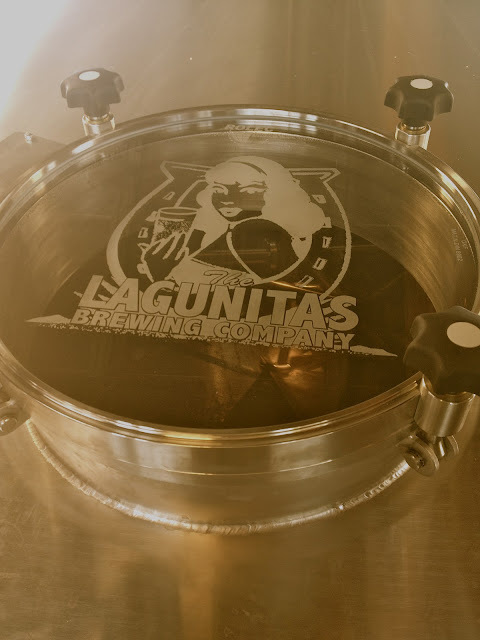 Lagunitas Brewing Company is in Petaluma, CA. D had the hook up for us, so we spent plenty of time touring and tasting (less tasting for me, the driver!). D got a little carried away with the touring, so we left the brewery in a rush. We ended up being late to our winery tour. Not to fear though, we certainly weren't to late to get in on the tasting. The tour and tasting at Gundlach Bundschu was so beautiful and informative. We got to actually walk down into the vineyard. 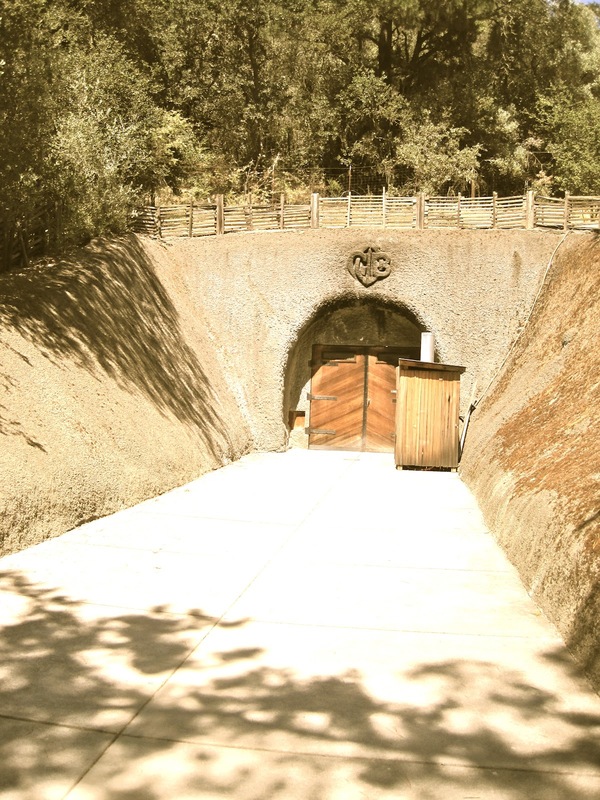 Gundlach Bundschu is actually the second oldest vineyard in Sonoma (only the second by two months, I think), so the history is really interesting. 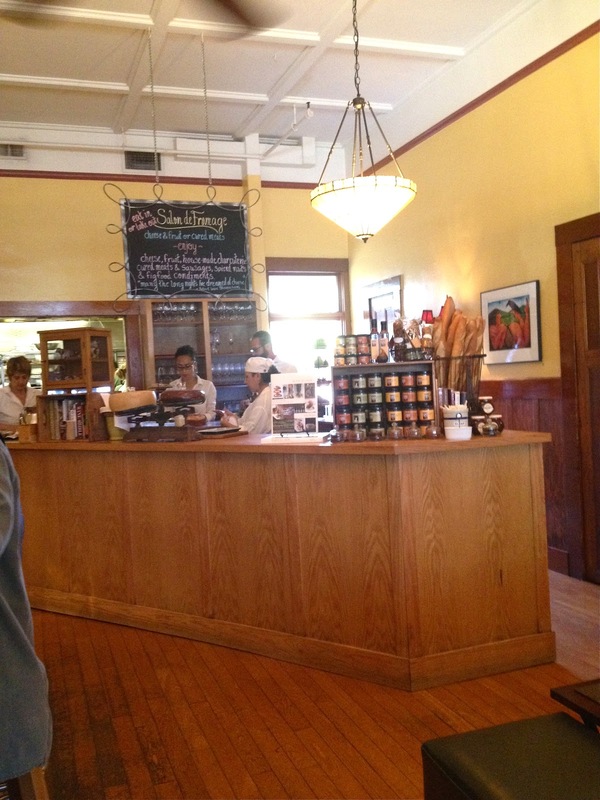 After this tasting, we headed to their sister winery, Bartholomew Park Winery. It's much smaller, and we just did a tasting there. After a hotel snafu, we ended up in a really cute hotel in downtown Sonoma. We definitely enjoyed the hot tub. Before we got to hot tubbing, we hit up a highly recommended restaurant downtown. The Girl and the Fig was amazing! I told D I think it was my favorite meal of the trip (although obviously many meals consisted of fried brew pub foods)! It was simple, but absolutely delicious. We started with the house made charcuterie plate. Just amazing. Cured meats (my favorite meats ever probably), cheeses, delicious mustard, fig paté, mixed nuts. I was in heaven. MANO FORMATE is the deli/meat curing station/"fig store"/etc. This was right inside the restaurant behind the bar. My dinner was simple but delicious. It was a croques monsieur with a fresh farm egg added. The side salad was amazing as well. 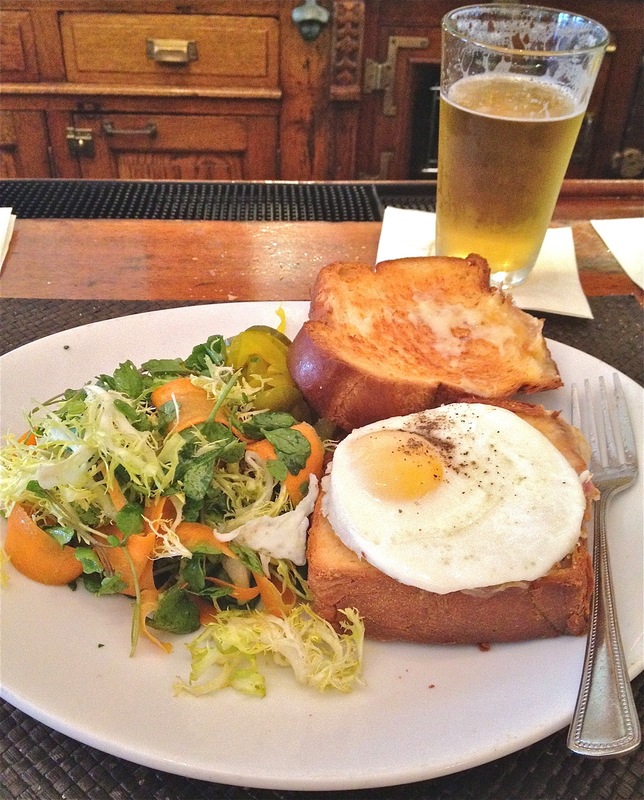 It had house-made pickles on the side and a delicious vinaigrette. If you're ever in Sonoma, please please visit this restaurant! The website says make reservations, and that's probably a good idea on a weekend or later in the evening. We came in earlier in the evening and had no problem getting seats at the bar. We enjoyed the hot tub and headed in early to get on the PCH down the coast! gah. I would do anything (anything!) to be right there right now. Looks like a fabulous time! Lagunitas is one of my favorites I must admit. I'd love to go on a trip similar to yours one day. Your whole trip looks fabulous! I know that if we lived near each other, we'd be besties. sorelle in style | SHOPBOP GIVEAWAY! I love how you guys got caught up at a beer tasting only to be late for a wine tasting. Awesome! 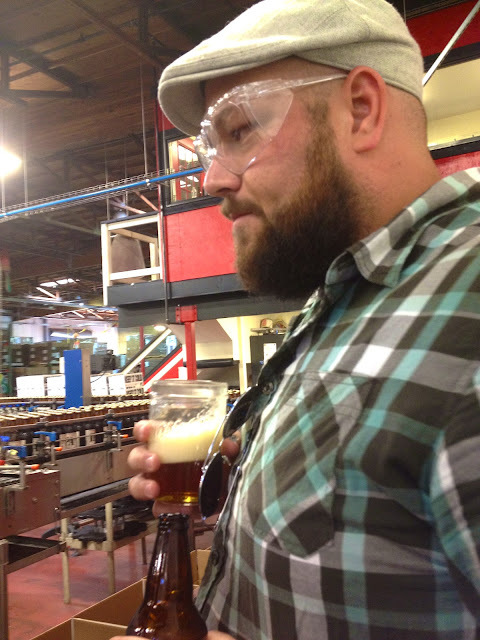 Of course Lagunitas isn't just any beer tasting! Too bad you were the driver. The things we do for our beer lovin husbands, am I right? 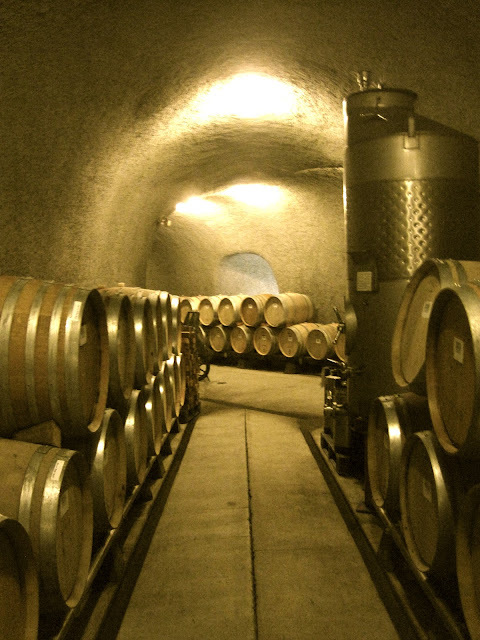 Wine caves and breweries... I'm falling in love with your blog!! aw, so happy that you enjoyed my hometown! Girl and the Fig was a good choice, and GunBun is in my top 2 favorite wineries. Food & Beer Friday :: Sumpin' pretty tasty! Life lately :: hashtag crazy. Food & Beer Friday :: My first California beer. That time we "hiked" in California. Ocean views, the boardwalk, and a snazzy hotel. We'll be in a silver Prius, no big deal. Life Lately :: Traveling fools. Food & Beer Friday :: We're pretty steamy. I need my inhaler for these hills. My body is thanking me for returning.